Globe Telecom’s Broadband arm, Globe Tattoo, launches Tattoo Plus Rewards, the first-ever rewards program for mobile broadband services covering both new and existing subscribers. This program will enable prepaid customers to earn points and freebies by using Tattoo! 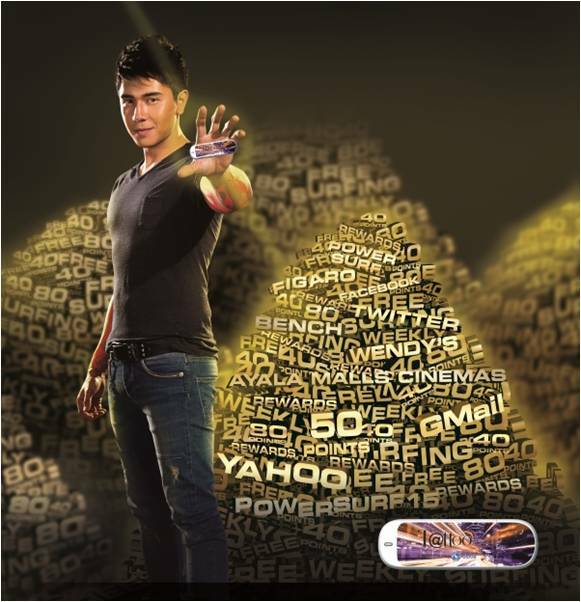 Upon activating a new prepaid account, Tattoo users will instantly receive 15 bonus rewards points, which they can immediately redeem to register to POWERSURF15, a prepaid data plan that gives them 20MB of internet data valid for 1 day. On their seventh to twelfth month of subscription, new and existing subscribers can avail of a FREE one-day unlimited access to Facebook, Twitter, Gmail and Yahoo! Mail every week for six months when they load at least P50 between Monday and Friday via Autoload Max. To redeem the rewards the following week, subscribers can text SOCIALWEEKLY to 8888. Subscribers likewise accumulate rewards points when they load their Tattoo Prepaid account, where one (1) point is given for every P25 reload. They can use their points to redeem their favorite Globe services or use them to buy products from Globe partner-merchants such as Ayala Malls Cinemas, Figaro, Wendy’s, Rose Pharmacy and Bench where 1 rewards point is equivalent to P1. Tattoo Broadband prepaid users can learn more about Tattoo +Plus Rewards and check out their redeemable rewards and freebies by visiting tattoo.globe.com.ph/rewards.